Note that for an existing door, rather than taking the measurements of the current door, measure the opening (height and width) of the existing frame on the right side, center, and the left side. Then, take the largest of three. 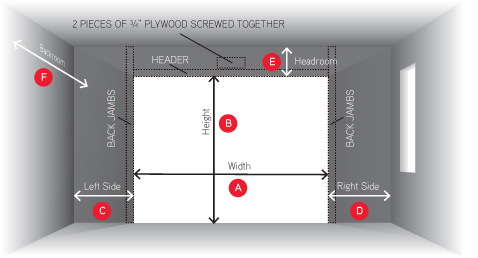 See our pdf: Measurements to look at before purchasing a new garage door.